Goal Setting-Proverbs 31 ←TO PRINT CLICK HERE! 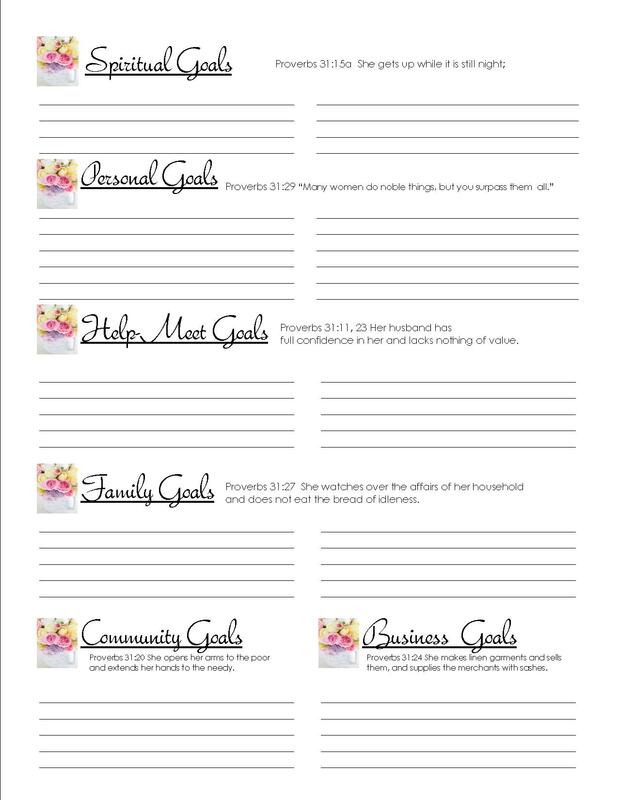 This “Goal Setting” sheet i prepared just for you! If you find it useful, please pass it on. Only 3% of people have any kind of goals at all. This 3% write their goals down. than the people that don’t write them down. Becoming a Woman After God’s Own Heart. I encourage youdear Sister, to be the woman God desires you to be.